Fuel efficient and eager to please, our 2009 Kia Spectra EX in Blue is a terrific choice to get you to your destination in style! The 2.0 Liter 4 Cylinder provides plenty of punch with its smooth shifting 4 Speed Automatic helping this Front Drive machine score near 32mpg on the highway. This is a good looking sedan that won''t break the bank...and, it''s going to make you feel great! Go ahead and take another look at our pictures and notice the comfortable cloth seats, AM/FM/CD audio, cruise control power locks, and more. Safety is paramount as evidenced by airbags, a tire pressure monitor, and other safety features. 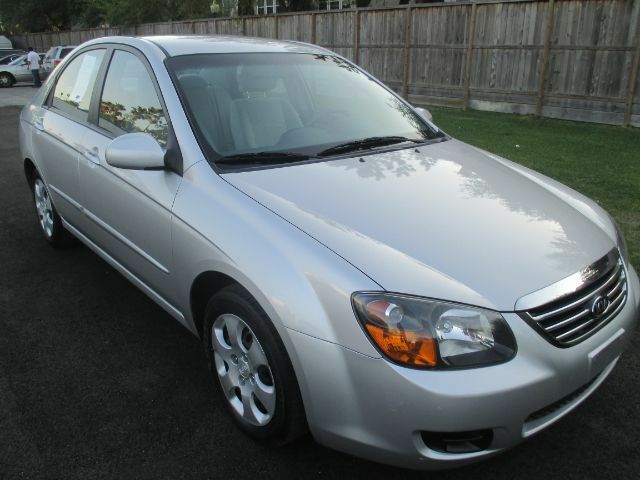 This Spectra is comfortable, agile, sprightly, inexpensive to own, and fun to drive so reward yourself! Print this page and call us Now... We Know You Will Enjoy Your Test Drive Towards Ownership!